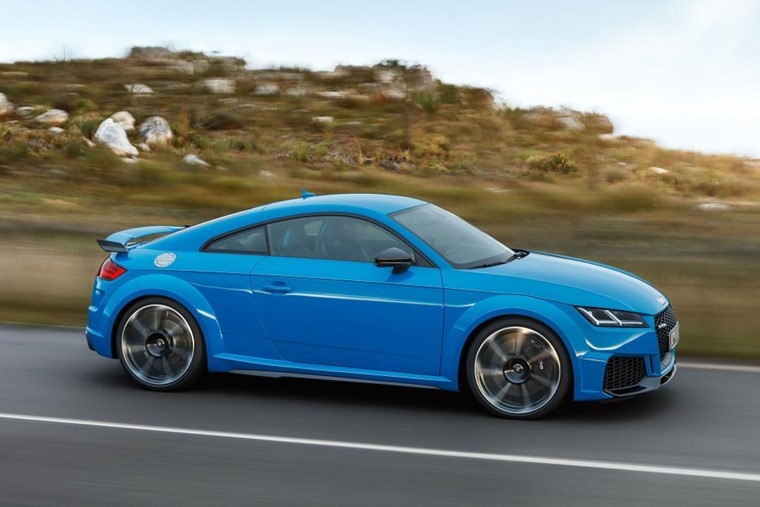 Audi TT RS 2019: your last chance to lease a two-door sports car? 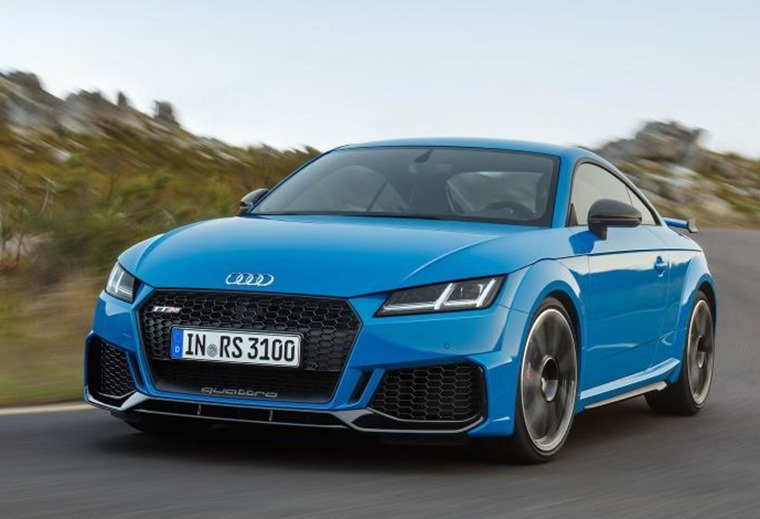 Retaining its unique five-cylinder powerplant and offering subtle styling tweaks, the TT RS promises the perfect marriage between extreme performance and an intoxicating ignition sequence when it opens for orders in April. Available as a coupe or roadster, the updated model has undergone minor exterior changes helping to give it a more dynamic look. A continuous front spoiler drawn up at each side hints at its motorsport-inspired look, as does the newly designed fixed rear wing and twin sport exhausts. Last year, Audi Sport received the “International Engine of the Year Award” for the ninth consecutive time for the 2.5 TFSI engine and it’s easy to see why. Delivering 394hp and 480Nm of torque, meaning a sprint time of just 3.7 seconds to 62mph up to 174mph at the limit, the 2.5 TFSI engine is music to the ears of many horsepower purists thanks to the typical five-cylinder engine sequence sound of 1-2-4-5-3. The forces of the five-cylinder engine flow via a seven-speed S tronic to the quattro permanent all-wheel drive. This then distributes the power as needed between the axles via a multi-plate clutch. Wheel-selective torque control makes handling even more agile and safe with four drive modes available: Comfort, Auto, Dynamic, and Individual. The out-and-out sportiness of the TT doesn’t stop there. With a low curb weight of 1,450 kg (sans driver), progressive steering ensuring close contact with the road, and appropriately firm suspension, it’s no surprise to see the car offers outstanding handling. 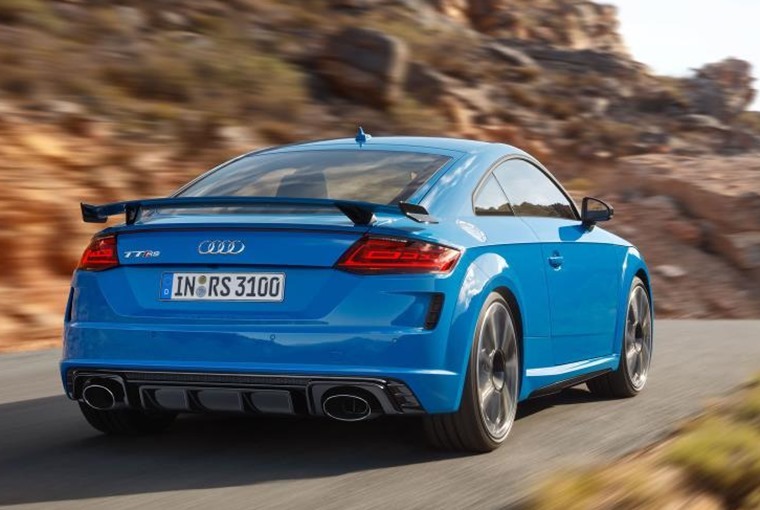 Stepping inside the Audi TT RS, the motorsports inspiration becomes more apparent. It features RS sport seats, as well as the RS logos on the seats, steering wheel, door sill trims, and selector levers. Special RS displays in the 12.3-inch Audi virtual cockpit provide information on tire pressure, torque, and g-forces. In manual mode, the shift light display prompts the driver to upshift when the maximum engine speed is reached.